If you are looking for the Best Phone under 10000 in Indian market then you are definitely confused between too many Chinese brand options. As technology continues to become cheaper with each passing month, features such as Great Processors, Good rear & selfie cameras, Full HD 1080P displays, and fingerprint sensors have started making their way to best mobile phones under 10000. Budget Smartphones now come with huge battery you don’t need to charge your Phone every day in the Evening. We Divided all the Best Smartphone Based on Section in which they are best so you can choose a smartphone with those features which you want right so Let’s Jump into. If gaming is your main priority then must see our list of Best Gaming Phones under 10000 or if you are looking for camera phone then visit here Best Camera Smartphone Under 10000. If your Budget is Below Rs.10000 you can check our List of Best Smartphones Under Rs.7000. Here is Our list of Best phones which you can consider if your budget is Near or below 10,000 Rupees in India. 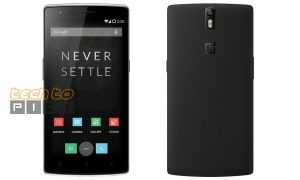 OnePlus One – Rs. 8,999 | 64GB Storage | 3GB RAM | 5.5 inch FHD Display. 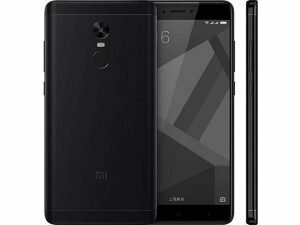 Xiaomi Redmi Note 4 – Rs. 10,999 | 32GB Storage | 3GB RAM | 5.5 inch FHD Display. Xiaomi Redmi 4 – Rs. 8,999 | 32GB Storage | 3GB RAM | 5.5 inch HD Display. 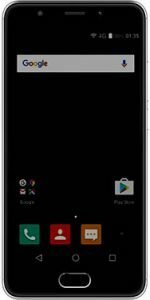 Yu Yureka Black – Rs. 8,999 | 4GB RAM | 32GB Storage | 5 inch FHD Display. 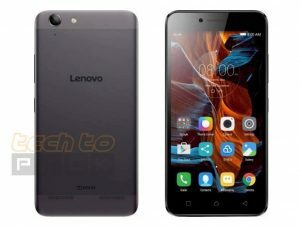 Lenovo K6 Power – Rs. 9,999 | 32GB Storage | 3GB RAM | 5.5 inch HD Display. 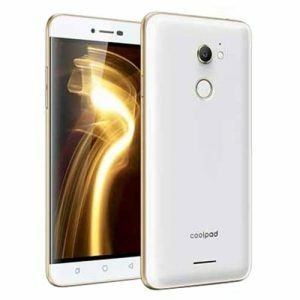 Coolpad Cool 1 – Rs. 9,999 | 32GB Storage | 3GB RAM | 5.5 inch HD Display. 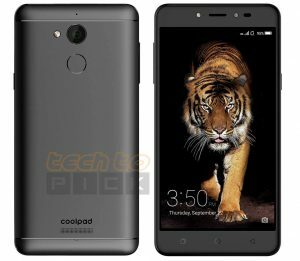 Coolpad Note 5 – Rs. 9,999 | 32GB Storage | 3GB RAM | 5.5 inch HD Display. 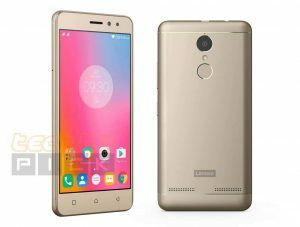 Lenovo Vide K5 Plus – Rs. 8,499 | 16GB Storage | 3GB RAM | 5.5 inch HD Display. 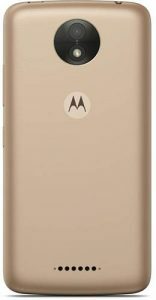 Moto G4 Play – Rs 7,499 | 16GB Storage | 2GB RAM | 5 inch HD Display. If you Know about OnePlus then You Definitely Remeber the Orignal Flagship Killer the OnePlus One. This Phone Launched in 2014 in India at Rs 21,999 But Now after 2.5 Years, it prices Sells for Rs. 8000 Only on Amazon Brand New. This Phone is the Baap of All the Best Phone Under 10000 List Just Look at the Spec, Reviews Once you have this Phone in your hand you can’t complain about anything. 2.5GHz quad-core Qualcomm Snapdragon 801 processor. 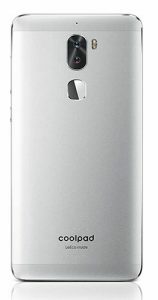 OnePlus One packs a 13-megapixel primary camera on the rear and a 5-megapixel front shooter for selfies. Android Nought 7.1.1 via Custom Rom. No Phone can even touch Xiaomi Note 4 under 10000 budget range. But the biggest problem with this phone is flash sale issue. This Phone is at the top in each and ever department like in performance, Specifications, camera and in battery life. Xiaomi Redmi Note 4 price in India starts from Rs. 10,999. 5.5-inch Full HD 1080p Display with 401 PPI. It comes with 4GB of RAM. 64GB of internal storage that can be expanded up to 128GB via a microSD card. 13-megapixel primary camera on the rear and a 5-megapixel for selfies. Sensors on the phone include a Proximity sensor, Accelerometer, Ambient light sensor and Gyroscope. Redmi 4 has a 5-inch HD Display. It is powered by 1.4GHz octa-core Snapdragon 435 processor. The Xiaomi Redmi 4X runs Android MIUI 8. Yu is back after a long period of time basically this model is a copy of one of the Chinese brand with all the same internals and externals but still, if you are looking for a great budget phone which is always available in the market then Yu Yureka Black is still a great option. It has the really nice hardware for just Rs. 8,999. 5 inch Full HD Display. 1.4GHz octa-core Qualcomm Snapdragon 430 processor. 4G, LTE, BT 4.0 & more. A 4000 mAh battery Huge Battery. Qualcomm Snapdragon 430 octa-core processor. 32 GB of internal memory. The Adreno 505 GPU makes your graphics fluid and looks stunning. It has a Full HD 5.5 Inch Touchscreen Display. Smile to the 13 MP rear camera and the 8 MP front camera for portrait-worthy photos and selfies. And what keeps all your files, photos. It also has a fingerprint scanner. Overall, the Lenovo K6 Power is the great all-rounder. It packs a good design, Nice cameras, latest and stable UI, good multimedia experience, decent performance, all the required features and a huge battery with a compact form factor. So, if you are looking for a smaller 5-inches phone, then the Lenovo K6 Power is the best phone under 10000 Rs. currently. 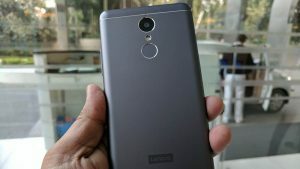 Coolpad is a known name in India for budget smartphones and this one is a bit special for those who are looking for Best Camera Phone under Rs. 10000. Because it has the dual camera on the back like iPhone 7 plus for bokeh effect in pictures. So, If you are specifically looking for camera phone this one is a great option for you. 1.4GHz octa-core Qualcomm Snapdragon 652 processor. If your budget is really tight and wants stock android to feel and want latest Android updates from Google first then Moto C Plus is a great option for you. 1.3GHz quad-core Mediatek MT6737 processor. 5.5-inch Full HD IPS LCD Display with 401 PPI. 1.5 GHz Octa-core Qualcomm Snapdragon 617 processor. The Coolpad Note 5 also packs in a graphics processor. 32 GB of internal storage which can be expanded to 64 GB via a microSD card. 13 MP shooter with Auto Focus, Face Detection, HDR, Touch Focus, Digital Zoom, Video Recording. 8 MP Selfies Shooter with Selfie Flash. It’s a Dual SIM Smartphone, and connectivity options on the Coolpad Note 5 include, GPS, HotSpot, Wifi, Bluetooth. The Coolpad Note 5 runs Android 6.0 OS which is most stable Version of Android Until Now. Please Use Above Link to Buy this Phone That will help us a lot to produce more content for you guys. Lenovo K5 Plus (2GB & 3GB) models now support 4G VoLTE as an over-the-air update. Octa-core processor and enhanced by the Dolby sound. 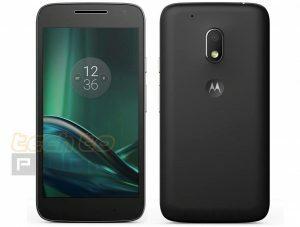 If you are a Person who wants a secure phone which is always up to date then Moto G4 Play is a Great option Because you get Latest updates faster than any other Smartphone in this List. 5 inch HD Display (720P). Android v6.0.1 Marshmallow operating system. 1.2 GHz Qualcomm Snapdragon 410 quad-core processor. 450 MHz Adreno 306 GPU. Here is some Other Phone which you can look at but we are not 100% Sure how they perform in real life now. If you Budget is Near to Rs. 9000 then Just go for Xiaomi Redmi 3S Prime. This is another beast smartphone at a really low price from Xiaomi. This Mobile Phone offers all you need in really tight Budget like fingerprint scanner a good screen and good battery life. Xiaomi Redmi 3S Prime smartphone was launched in August 2016. 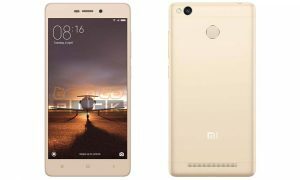 Xiaomi Redmi 3S Prime price in India starts from Rs. 8,999. 5-inch display with a resolution of 1280 x 720 pixels with 294 PPI. 1.1GHz octa-core Qualcomm Snapdragon 430 processor. The phone packs 32GB of internal storage that can be expanded up to 128GB via a microSD card. 13-megapixel primary camera on the rear and a 5-megapixel selfies Camera. The Xiaomi Redmi 3S Prime is a dual SIM smartphone that accepts Micro-SIM and Nano-SIM. Connectivity options include Wi-Fi, GPS, Bluetooth, Infrared, USB OTG, FM, 3G and 4G VoLTE. Coolpad is another China company make great phones in the budget segment. This phone Launched in November 2016. The Coolpad Note 3S delivers a fairly good experience at a fairly good price. It has a 1.3GHz octa-core Qualcomm Snapdragon 415 MSM8929 processor. Comes with 3GB RAM & 32GB Internal storage. There’s a 13MP rear camera and 5MP Selfie camera. The phone runs on Android 6.0. So, That is Our List of Best phone Under 10000 Rupees in India which you can buy with closed eyes you will never disappointed with the performance. But if you know any phone which deserved to included in Our list Best Phone under 10K. Lets us know in the comment section Below we will update our list.